Newly elected President Nguyen Phu Trong has become the most powerful Vietnamese leader since Ho Chi Minh. 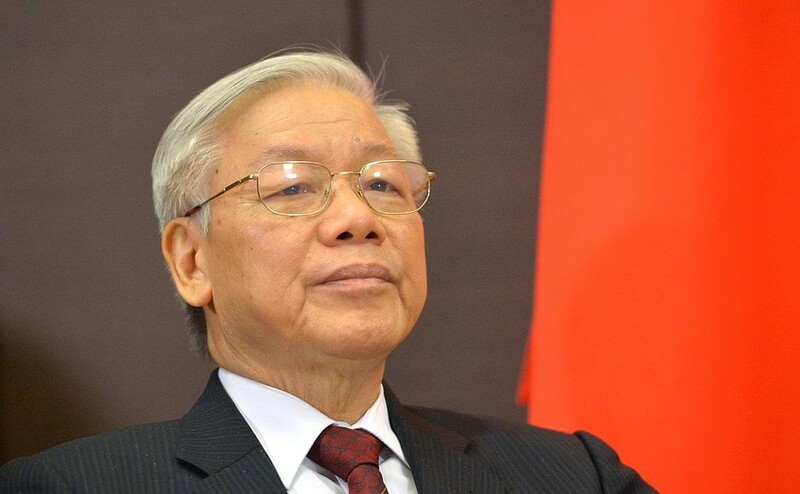 Nguyen Phu Trong, General Secretary of the Communist Party of Vietnam (CPV), has been elected to serve as the nation’s president after a recent vote in Vietnam’s state legislature. As the only candidate on the ballot, Trong won with a staggering but unsurprising margin of 99.8%. The vote bestowed upon him the second of Vietnam’s traditional “four pillars” of political authority: general secretary, president, prime minister, and the chair of the National Assembly. Trong took over from his predecessor, Tran Dai Quang, who, after a long and arduous battle with “a rare and serious viral disease”, passed away in late September. At a memorial service, the hard-line former president’s casket was paraded throughout Hanoi, carried on the back of a howitzer flatbed converted into a hearse. An ex-public security minister and police general, Quang was infamous for his implementation of a sweeping anti-graft campaign that targeted the rival political faction of former prime minister Nguyen Tan Dung, as well as crackdowns on human rights activists and political dissidents. Yet with Quang’s passing, the anti-graft and anti-dissident campaigns are only set to harden. As Trong takes over Quang’s duties, Dung’s allies, associates, and other critics of the new leader can expect to be brought into line. Aided by controversial new cyber-surveillance regulations to silence rights advocates and bloggers, Trong’s campaigns seem set to herald an emerging trend within Vietnam towards an increasingly centralised, pervasive state apparatus. Ironically, though perhaps not coincidentally, it mirrors a similar trend under Xi Jinping’s leadership in China. Trong’s consolidation of power will have significant implications for the US rebalance in Asia as well as for Vietnam’s old rivalry with China. Yet for Vietnam’s people, who remain conflicted about their role in regional affairs but set against the rising ambitions of their northern neighbour, the question of how Trong’s leadership will affect the development progress they’ve been promised seems an increasingly marginal consideration. While Trong only consolidated his leadership positions followed Quang’s passing, the new president had cemented his place in the party at the 12th National Congress in January 2016. After a long rivalry, Dung and Trong faced off behind closed doors, where Trong aired grievances about Dung’s economic mismanagement and corruption. As prime minister, Dung was a core proponent of extensive liberalisation as part of Doi Moi or “renovation” policy. In particular, Dung pushed reforms aimed at improving the efficiency of state-owned enterprises (SOEs) through diversification into financial services and real estate. With the onset of the 2008 global financial crisis, such ventures rendered huge losses amongst SOEs, massively damaging Dung’s reputation. Since 2008, Dung had similarly been held responsible for non-performing loans of state-owned banks and failing to temper ballooning public debt, which by 2016 had reached 60.7% of GDP. Without the support of the Politburo, Dung was ultimately forced to withdraw, and a later vote saw Nguyen Xuan Phuc take over his position. Dismantling Dung’s extensive patronage network and support amongst the business community has been a major focal point in Trong’s efforts to consolidate his leadership and limit Dung’s residual influence. In March, Dinh La Thang, a former Politburo member and former chairman of PetroVietnam, one of the biggest state-owned enterprises, was sentenced to 18 years in prison for “financial irregularities” and 13 years for “economic mismanagement”. Thang was one of many officials who enjoyed enormous wealth creation during Vietnam’s rapid economic expansion. In response, the Politburo likely suspects the opportunities created by Dung for officials and business people like Thang translated into loyalty for the former prime minister. Since 2017, some twenty officials have been targeted for their alleged ties to Dung, including another former PetroVietnam chairman Nguyen Xuan Son, who was sentenced to death, and Ha Van Tham, who received life imprisonment. Trong’s seizure of the offices of general secretary and president will have a number of important administrative benefits — this was likely the main factor motivating the National Assembly’s decision. Domestically, bureaucratic processes will become more streamlined resulting in quicker decision-making and policy implementation. Yet despite these advantages, the result may simply further entrench Trong’s authority. The obvious corollary lies in Beijing’s model of centralised authoritarian leadership and there are concerns that Trong’s moves mirror those of Chinese President Xi Jinping. While there are important differences between Vietnam and China’s governance apparatus, for Vietnamese wary of Trong’s actions, there are clear signs of creeping authoritarianism. In particular, should Trong seek re-election for a third term as general secretary, in conjunction with the promotion of willing protégés and party loyalists, his capacity to remove term limits will be all but assured. Against such concerns, a major focus of the Politburo will be the management of public sentiment. 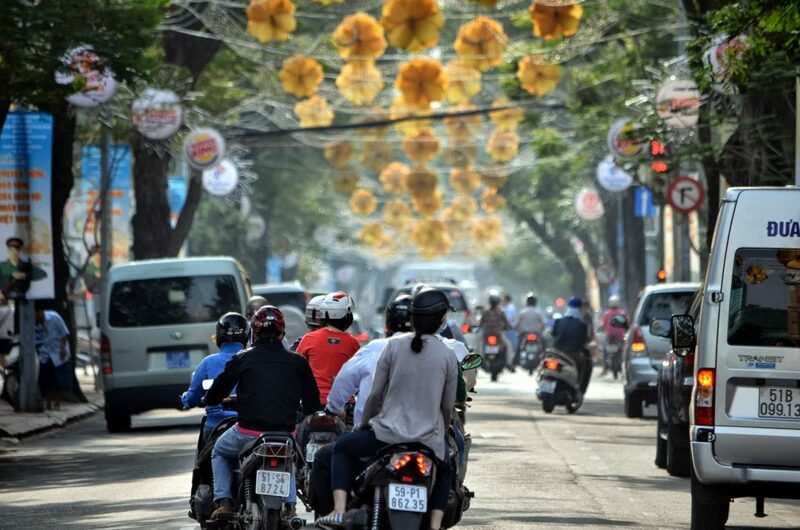 A hallmark of Vietnam’s culture is its defiant spirit. 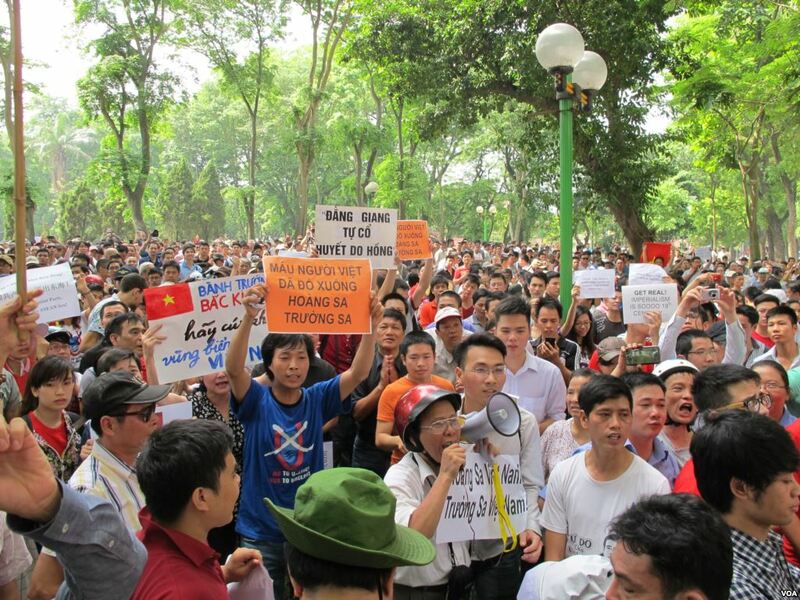 Recent protests in 2014 and again in 2018 have showcased the Vietnamese people’s ability and determination to circumvent state authority in order to express their point of view. The rebellious character of these protests is undoubtedly of interest to members of the omnipresent Ministry of Public Security. In response, approval of a new cyber security law will soon require digital businesses like Facebook and Google to store the data of Vietnamese users on servers in Vietnam, allowing that data to be subject to closer inspection by authorities. As Foreign Brief reported in April, the legislation of potentially pernicious cyber security laws has become a serious concern among rights activists in Southeast Asian nations. Such laws may have severe consequences for those found in violation; some 130 political prisoners already currently being detained in Vietnam. Their imprisonment was at least in part aided by the Vietnam People’s Army’s employment of a 10,000-strong military cyber warfare unit to counter “wrong” views on the Internet. In light of the previous protests, a backlash to the overextension of state powers by Trong ought to be expected. Yet with the rising centralisation of state authority, by the time the public decides to make their voices heard, it may already be too late.